The animals, like the tigers and bats, are the obvious stars of the Maharajah Jungle Trek. But the architecture makes it a different kind of zoological exhibit. Instead of just one exhibit after another, the imagineers built a story line of the old hunting grounds of the Maharajahs, the former rulers of Anandapur. 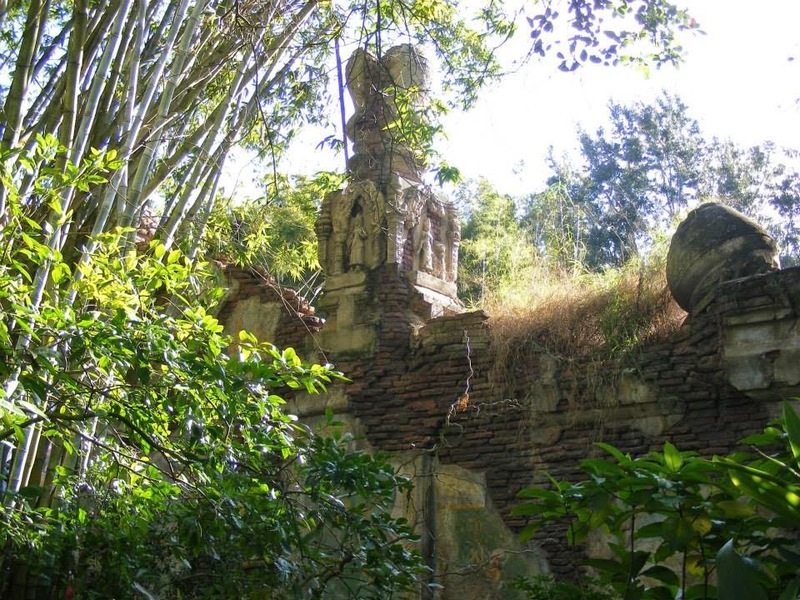 Here a crumbling temple sets the stage as you continue along the path to another viewing area for the beautiful tigers. You truly feel as if you have stepped into another world. This wall is not part of any exhibit, its just along the path. But it is stuff like this that really transports you into the story.